Newer antiepileptic agents such as levetiracetam and lacosamide are gaining popularity due to their relatively safe AED profile, fewer drug-drug interactions, and lack of need for therapeutic drug monitoring(TDM), according to a systemic review published in the journal Critical Care. The incidence of seizures in intensive care units ranges from 3.3% to 34%. which makes it necessary to initiate or continue anticonvulsant drugs in this setting. Various factors such as such as the onset of action and side effects, drug factors and patient factors such as age, renal, and hepatic function, should be taken into consideration when a new anticonvulsant is initiated. About a third of patients with seizures fail on monotherapy, necessitating two or more AEDs. Salia Farookh and his associates conducted a study to review the pharmacokinetics and pharmacodynamics of antiepileptics as well as application of these principles when dosing antiepileptics and monitoring serum levels in critically ill patients. The authors also discussed the selection of the most appropriate anticonvulsant to treat seizure and status epileptics as well as the prophylactic use of these agents in this setting. Drug-drug interactions and the effect of nonpharmacological interventions such as renal replacement therapy, plasma exchange, and extracorporeal membrane oxygenation on anticonvulsant removal was also included. AEDs depress abnormal neuronal firing by various mechanisms of action including altering ion channel activity, enhancing gamma-aminobutyric acid (GABA)-mediated inhibition, or reducing glutamate-mediated excitation. While some AEDs have a single mechanism of action, others have multiple mechanisms of action. Administration of multiple AEDs is common in the ICU to manage refractory seizures and SE. Satisfactory seizure control is not achieved in 30–40% of patients with monotherapy, making it necessary to use two or more AEDs. Although synergistic anticonvulsant activity between medications may be desirable, concurrent use of multiple AEDs generally increases the risk of drug interaction. Dosing of AEDs should be individualized to achieve seizure control with minimal adverse effects. Pharmacokinetic alterations are frequently observed in critically ill patients; hence, frequent therapeutic drug monitoring (TDM) may be required. 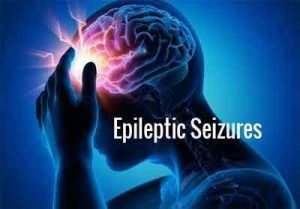 The widespread use of cEEG has made it apparent that seizures are more common in the ICU patients than previously thought, with estimates for seizures and SE ranging from 19% to 27%. As a general principle, the current consensus is that treatment of even a single ICU seizure should occur in order to prevent escalation into SE. Once airway, breathing, circulation, and “dextrose” (the “ABCDs”) have been addressed, pharmacologic seizure treatment should occur immediately. Available evidence uniformly suggests that benzodiazepines remain the drugs of choice for the immediate control of seizures of any kind. The efficacy of intravenous lorazepam was demonstrated by Treiman et al. in 1998. Lorazepam was most effective in the initial treatment of convulsive SE when compared with phenobarbital and diazepam plus phenytoin, although the latter was also effective. To monitor for ongoing seizure activity after convulsions may have ceased, cEEG is crucial. Second-line therapy for SE should be initiated within 30 min if first-line treatment has failed. Agents used as second-line therapy include fosphenytoin, valproic acid, phenobarbital, and levetiracetam. If second-line agents are ineffective, treatment is typically escalated to anesthetic agents. Agents used for continuous infusion are midazolam, propofol, and pentobarbital, with no data suggesting the superiority of one over the other. Ultimately, it is important not only to treat the patient with an anesthetic agent but to also continue maintenance therapy with appropriate AEDs to allow the transition to a well-tolerated, long-term antiepileptic regimen. The renal route of elimination, low protein binding, low volume of distribution, and molecular weight are physiochemical factors that impact the propensity for drug removal via dialysis. Two common drugs that are removed by IHD and for which data recommendations exist are levetiracetam and lacosamide. The authors concluded that optimal management of antiepileptic drugs in the intensive care unit is challenging given altered physiology, polypharmacy, and nonpharmacological interventions, and requires a multidisciplinary approach where appropriate and timely assessment, diagnosis, treatment, and monitoring plans are in place.